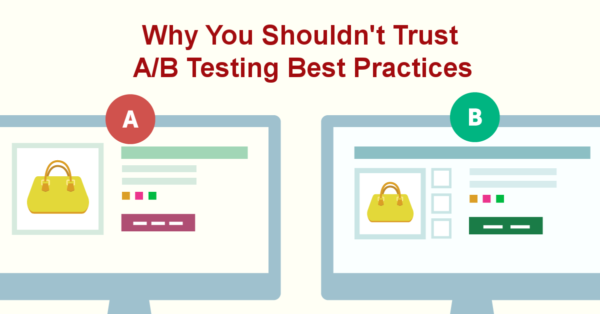 Are you about to launch the A/B/N Experiment? Good for you and for your company! Before launching, consider the importance of the goal in your Experiment. 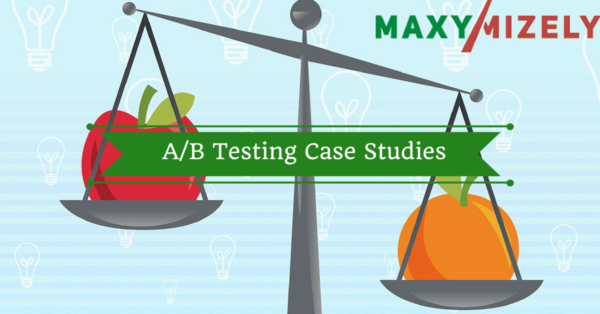 In one of our last articles, we shared some Tips for Choosing Right Goal in A/B testing. Though, besides general truths and best practices, I’ve decided to provide you with some technical understanding of goal types. 1. Pageview Goals (or visit goals): to track how many visitors reach a given URL to measure the number of unique and total impressions on some specific page, or a subset of pages. Example: to measure the result of a click on a link or a button, in other words, the visitor can see the page you expect him to. 2. Click Goals: to track how often your visitors click on a certain element. 3. Custom Event Goals (or custom goals): to capture and report on visitor actions or events that might not be related exclusively to clicks or page views. Unlike default goals (engagement goals), custom events let you track an element that isn’t a page view or a click. Example: a pop-up that appears for the visitor at specific instances in the flow; content that is added to the page as the user progresses through a flow; to track dropoff within a form and see which fields a visitor is filling out. 4. Revenue Goals: to see the revenue earned per visitor, revenue per paying visitor, purchases, and the total revenue earned per variation. 5. Engagement Goals: a default goal. This type of goal can’t be chosen nor deleted by you, as a user. The system tracks all/any types of your visitor’s actions. Normally, it is always recommended adding more goals that align to your online business goals. Examples: LoadPage – page loading; Click – element activating; ViewElement – element reviewing; Download – file loading (by the visitor); Scroll, etc. 1. Set Goals: these are your specific business goals, which in fact combine above-mentioned pageview/visit goals, click goals, and revenue goals. You can set them in our system with a right click within your site or application and link them to the particular visitor’s actions. 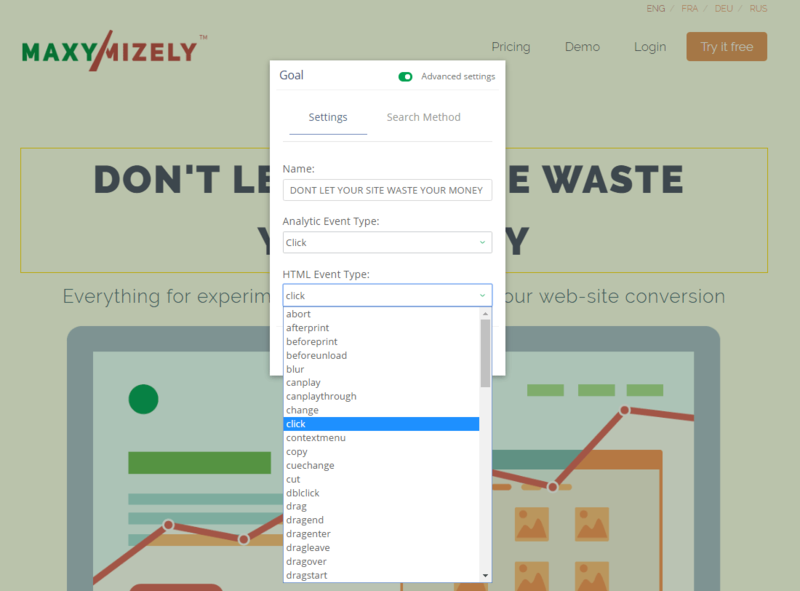 In our documentation, you can find the detailed steps on how to set goals with Maxymizely. 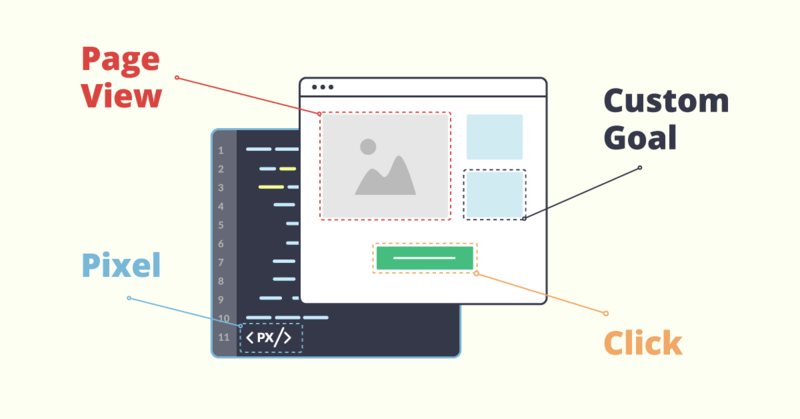 In Maxymizely, physically, a custom goal is a pixel that is shown on a different domain, or your partner’s sites, or emails. Such action accomplishment is called Conversion Pixel. When the pixel appears on your visitor’s screen, it means that your goal is achieved. Otherwise, when your CTA is within your site or application, you should use Set Goals to track the actions of your visitors. 3. Engagement Goals: the same notion as in other systems, a default goal. 1. Tap Goals: to track whether a certain view is tapped. 2. View Goals: to track whether a certain view appears. 3. Session Goals: to track how long the session lasted in the mobile app. 4. Engagement Goals: a default goal. That’s all I wanted to share with you, my friends, today. If you have any interesting experience to share, comment to add, or question to ask, I’m always ready to talk to you – info@maxymizely.com. And as always – use Maxymizely to experience new horizons of testing!